YOOGLE provides high quality metallic interconnects for solid oxide fuel cells(SOFC). These interconnects based on the commercial stainless steel to making, with precision forming and vacuum coating technology. These metallic interconnects obtained by YOOGLE technology have excellent conductivity and resistance to oxidation, which completely replace the expensive special steel or alloy. Compared to uncoated stainless steel our cerium-cobalt coating reduces the chromium evaporation by up to one order of magnitude , increasing the long time efficiency of the fuel cell. 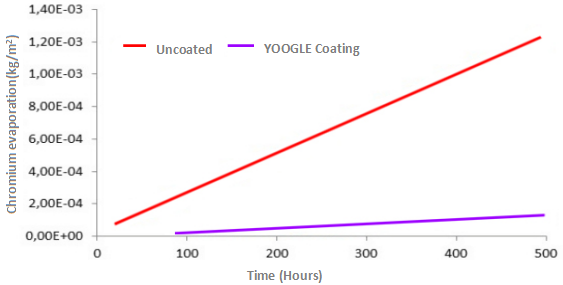 YOOGLE EN1.4509 also has excellent oxidation performance and surface conductivity compared to uncoated stainless steel. Together these factors rule out the need for expensive special steels or alloys.